can any driveline specialists help me?? Anyone in Invercargill familiar with this car? Alloy Pipe where to get from? Dunedin Monthly Meet 27th Sept! 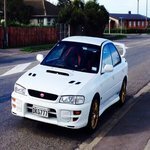 Dunedin Monthly Meet 30th August! Anyone got a Combustion Leak Tester?